Alexey Inshakov draws inspiration from nature and travel. His music is based on bright images creating a unique atmosphere: the sound of rain falling down, the warmth of sunbeams, the rustle of leaves — you can hear all this when you listen to his compositions performed on guitar, ukulele and rain stick. 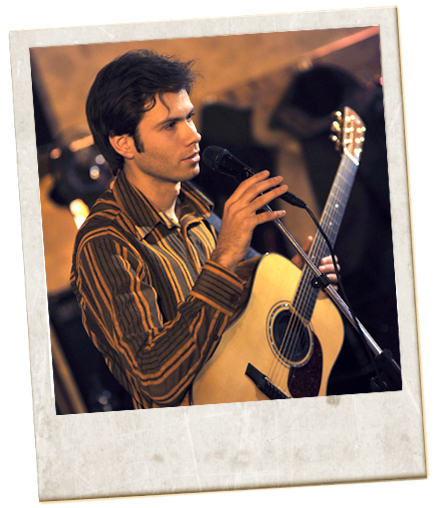 Being an award-winning musician, Alexey took part in the final competition of the Don Ross Fingerstyle Guitar Contest. Among his trophies are the very prestigious ‘The Many Faces of Guitar’ Contest Award, ‘Festos’ Festival Prize, ‘String’s Masters Battle’ Award and many more. ‘My guitar style was developed under various influences’, Alex says. ‘It’s blues and folk, rock and country music, ragtime, jazz… All these styles are materialized within my projects. But whatever I play, my music will always be what I personally like to listen to and what I’d like to share with others. ‘Cause being a musician means to constantly give away all you can. It’s similar to the Sun always giving away the heat, shining for all of us’. In 2007, Alexey was awarded for his enormous contribution to the development of music education, preservation of Russia’s cultural heritage and strengthening of international cultural ties. In 2009, two of his songs were included in ‘The Territory of Jazz’ music collection. In 2010, Alex was invited to the ‘Singing Fa-Sol’ TV show as a musician guest. Three series of the show feature him playing the ukulele, banjo and lap steel guitar. In 2012, he played several songs for a show on fingerstyle guitar on the KP Radio.